Since it’s headquartered in Louisville, Colorado, I have a soft spot for Pearl Izumi gear. Until I received the Pearl Izumi Fly Jacket, I had only owned their cycling gear. I’ve had good experiences from the cycling end of things, so I was excited for the opportunity to test and review the Fly Jacket. 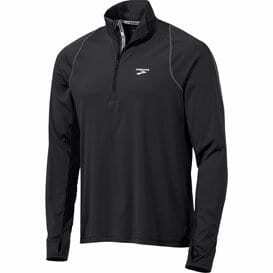 The Pearl Izumi Fly jacket is intended to provide wind/weather resistance on cool, damp days. This is a no frills jacket that has the features necessary to get the job done. The Fly Jacket is made of 100% polyester. Key features include armpit vents, elastic cuffs, internal hand mitts, back zipper pocket and reflective detailing. I was on the east coast for two weeks and put this jacket through the gamut in Vermont and Upstate New York. I tested this jacket on trail, pavement and dirt roads during “regular” east coast weather. If your not from the east coast, “regular” consists of wind, sun, clouds, fog, rain and/or snow. Fit – This jacket is advertised as “semi-form fitted”. I have a slightly wider frame (5’9″ 33″ waist) and a medium can be a gamble for “semi-form fitted” gear. I found that the medium was almost perfect and perhaps a little large to be described as “semi-form fit”. That being said, the range of motion in this jacket is spectacular. So spectacular, that I almost forgot I was wearing it. Performance – I used this jacket in temperatures ranging from 25 to 38 degrees. The first time I used the jacket was on a 38 degree day. I wore an ultra light 1/4 zip wool underneath the jacket. As soon as I warmed up, the sun popped out and I was WAY too hot. The second time I used the jacket was with the same layering, but low thirties, flurries and no sun. This was perfect! My body temperature was just right, I was protected from the wind and the flurries were sliding off the weather resistant polyester. With the exception of the day I was too hot, I found this jacket to breath well when used during colder conditions. . The Fly jacket provided excellent protection from the wind which enabled me to stay warm while also minimizing the amount of layers I needed to wear. I made good use of the back zipper pocket. I was able to put my Samsung Galaxy S5 and a car key in the pocket without any issues. When I came back to Colorado, I went out on a 34 degree and loved the built-in hand mitts. The mitts provided just enough warmth to get me going for the first 10 minutes of my run. Ideal Application –I think this jacket performs amazingly on a crappy east coast day (cold, cloudy, breezy, with variable conditions). If you live in an area that gets these kind of conditions often, you will love this jacket. I like this jacket paired with a light to mid-weight 1/4 zip wool on days ranging between 25-34 degrees. Taking the Fly Jacket Through a Covered Bridge in Vermont! 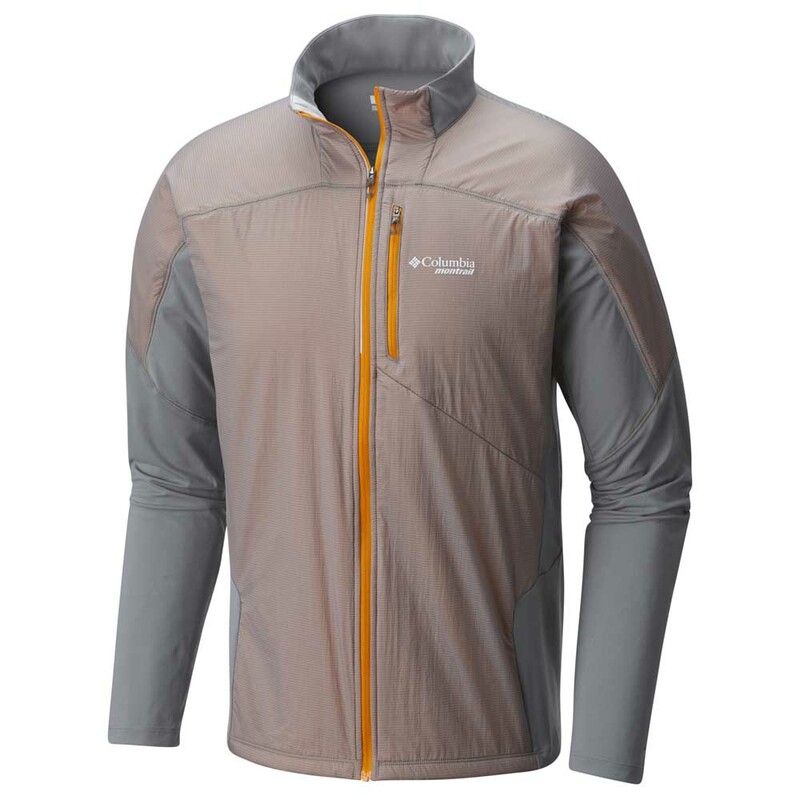 Side Note – I think this jacket would be an awesome addition to your running/hydration vest. It’s small enough to pack, but offers some warmth and wind/weather protection. I could imagine starting with this jacket on a cool morning, shedding it when I got warm and then pulling it back out if some bad weather came swooping in. I love this jacket because it is not over-designed and takes a minimalist approach. This is a lightweight, packable jacket that gets the job done on a cool, damp day. 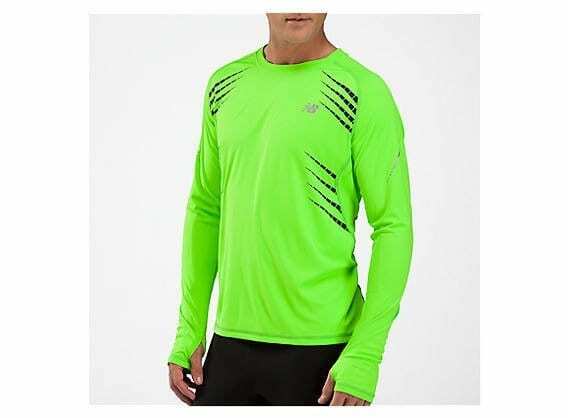 This is obviously a winter jacket, so once you reach the 40 degree temperatures and depending on your workout intensity level, you may want to look for a lighter option. Once you do hit the sub freezing temperatures, this is sure to keep you warm and protected from the elements. The Pearly Izumi Fly Jacket retails for $80 and is offered in Black, Screaming Yellow, Jelly Bean and Mykonos Blue. You can pick one up directly from Pearl Izumi on their Website.